John Flood's Random Academic Thoughts (RATs): Want to Know About (Cycling Around) London? Want to Know About (Cycling Around) London? This is an off day for me while my right arm recovers from a minor operation to move a compressed nerve--the result of a cycle accident a while back. A lad, in his first car, was late for his sister's wedding and had the sudden urge to have me practise somersaults over the roof of his car. I was pretty good at it and managed to combine it with a nifty sideways roll which prevented the 38 bus rolling over me. The applause levels were fairly muted at the time. The dear little runt tried to claim it was my fault but the bystander witnesses, bless them, awarded him null points for that. Needless to say he was even later for his sister's wedding. 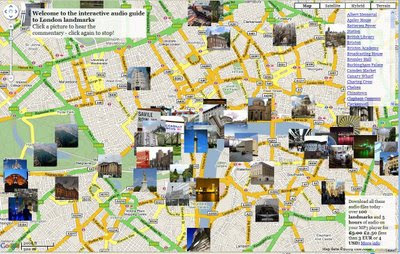 If you are coming to London and want to know where to go and what it will be like, Daniel's website is worth bookmarking. Enjoy. I shall now go back to improving those somersaults...Maybe a few back flips, some head spins...Cycling keeps you fit....Did I say that this is the second arm to operated on to move the nerve because of this bike accident? At this rate I will be bionic.